On January 11 -- Content posted by friends, family and groups will receive more visibility in the news feed than content posted by businesses, brands and media. This is to encourage “more meaningful social interactions over passively consuming content.” On January 29 -- Users will see more local news on their news feed and less divisive national news. In this case, I would post an update with “7 Facebook Audience Growing Strategies for 2018” at the top. Live video is a fantastic way to give your followers a raw look into your brand and the value you provide. A major goal of these Facebook updates is to get people to actively engage in the content they are exposed to. As Zuckerberg’s second major announcement stated, the algorithm change would show more content from local news sources in the users’ area. Essentially, it now gives brands an incentive to improve their presence in the community and discuss certain topics on a local level. In Zuckerberg’s first announcement, he mentioned that users would see more content generated from groups. Offer specials for Facebook audience engagement. Keep in mind, boosting a Facebook post can be very expensive, depending on how many people you want to reach. At the beginning of the year, Mark Zuckerberg rocked the marketing world with a series of announcements stating that Facebook is going to usher in a great deal of changes in 2018 and beyond. Throughout January, Zuckerberg made three major statements regarding algorithm updates to be rolled out. On January 29 — Users will see more local news on their news feed and less divisive national news. 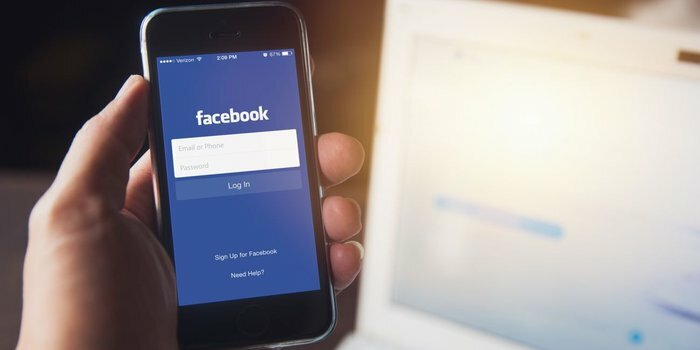 The goal for these changes is to bring Facebook back to its original roots and objectives — to focus on personal connections and encourage positive, active engagement. So what does all this mean for brands, publishers, news outlets and influencers? Truth be told, it’s going to change the game quite a bit. Simply put, your content will no longer appear in news feeds like you are accustomed to. The strategies that worked well in previous years are going to need a makeover. The good news is, it’s not impossible. There are a number of useful tactics you can incorporate into your social media strategy to survive the latest update. Let’s discuss. 1. Create content exclusive to Facebook. Throughout all of Zuckerberg’s announcements, there is one underlying message that operators of public pages need to keep in mind: He wants people to stay on Facebook. In other words, Zuckerberg and his team do not want users navigating to other sites from their news feed. This means that your updates featuring an external link to your own website — like a blog article — will not be favored as much as Facebook-exclusive content. Let’s say you want to post a link to your latest blog post. In this case, I would post an update with “7 Facebook Audience Growing Strategies for 2018” at the top. Next, I would post the seven section headers underneath, with maybe a sentence or two for each. Now, being as how I still want to get traffic to my content, I can post the published link to the full article in the comments. In turn, I’m getting my main points across with exclusive Facebook content while still giving my followers a link to the external page — all without hurting my organic placement. Studies have found that live video gets 10 times more engagement than traditional videos. Even better, most of these interactions are in real-time. That being said, this format needs to play a huge role in your social media strategy moving forward. There is no way around it. Live video is a fantastic way to give your followers a raw look into your brand and the value you provide. There are many strategies for accomplishing this. If you are a B2C company, giving viewers a behind the scenes look into your operation is a great way for people to see you in a different light. In the early days of Facebook Live, Dunkin’ Donuts gave viewers a live peak into their kitchens and how their famous pastries are made. The engagement levels of this live stream blew every other video they produced out of the water.